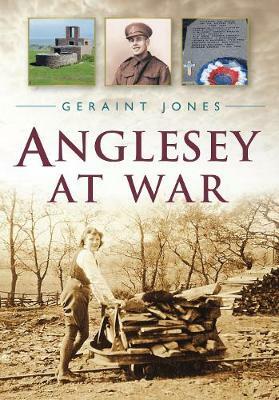 The First and Second World Wars had a profound effect on all parts of Great Britain, and the comparatively isolated and rural island of Anglesey was no exception. Men were recruited and conscripted into the armed forces in large numbers and some parts of Anglesey, such as the port town of Holyhead, sprang to life. Many Anglesey men found themselves in exotic locations all across the world, while others lost their lives on the killing fields of Western Europe during the First World War. Many soldiers wrote letters home describing their experiences: good, bad and downright bizarre. Airships were deployed during the First World War and RAF airbases were established during the Second World War. The wars left a legacy that can still be seen on the island today.